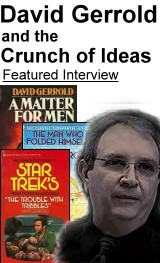 Science fiction author David Gerrold is well known for his Star Trek television episode The Trouble With Tribbles. He has several popular science fiction series in publication, and his relationship with his son inspired the book (later a movie) The Martian Child. Yes. In general, for the better. Every so often a fan will ask a question that is so insightful and so profound that it's like getting a slap upside the head. It really forces a shift in thinking and that results in a better or even a different story. That's the reason I love going to conventions. I keep listening for those kinds of questions. 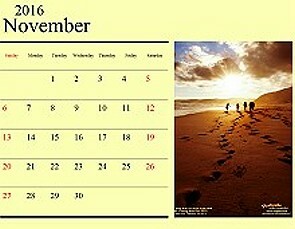 There are too many to remember. I particularly like the story about "nurse Enterprise" who gave a child in an iron lung a tribble and told her that she had to do her breathing exercises to keep the tribble alive. I'm told that tribble got passed from child to child for a long time. Overall, I've always been impressed with the mutual goodwill and supportiveness of the fannish community and how it leaks out to the rest of the world too. authors: Heinlein, Sturgeon, Clarke, Bester, Dickens, Twain, Kipling, and Victor Hugo. films: War of the Worlds, Forbidden Planet, Invasion of the Body Snatchers, Them, King Kong, Beast From 20,000 Fathoms, The Thing From Another World. Beethoven. And Coca-Cola. No vegemite. The most important THINK? I assume this was a typo, but it's a great one. I would like to think that my work has contributed in some way to the quality of other people's lives. Aside from the royalty checks, I know that I am doing something that no one else can do as well. 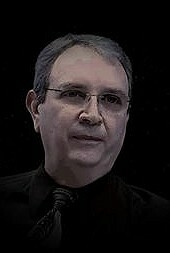 I write the best David Gerrold novels in the world; no one else can make that statement. Maybe that's a little immodest, but every storyteller is unique. 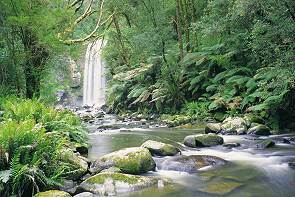 I feel good about my stories because I know that they are the best that I can do.